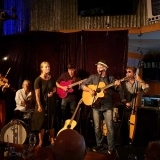 Our next guest headliner is Paddy Burgin and the Wooden Box Band. 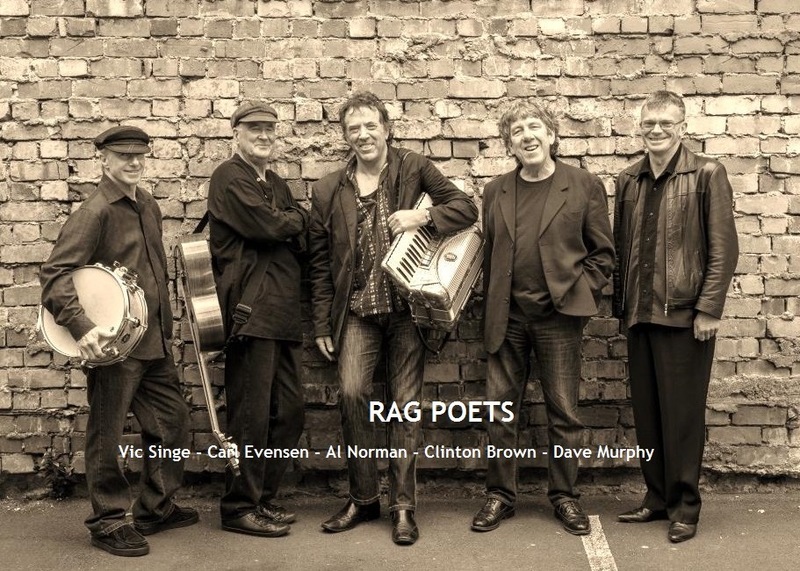 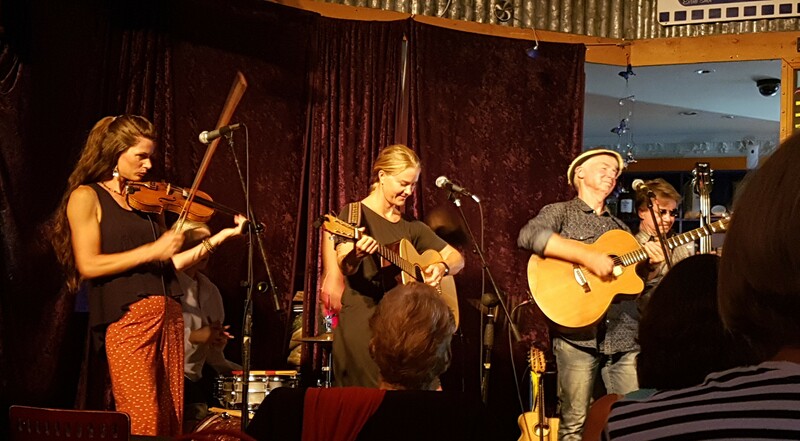 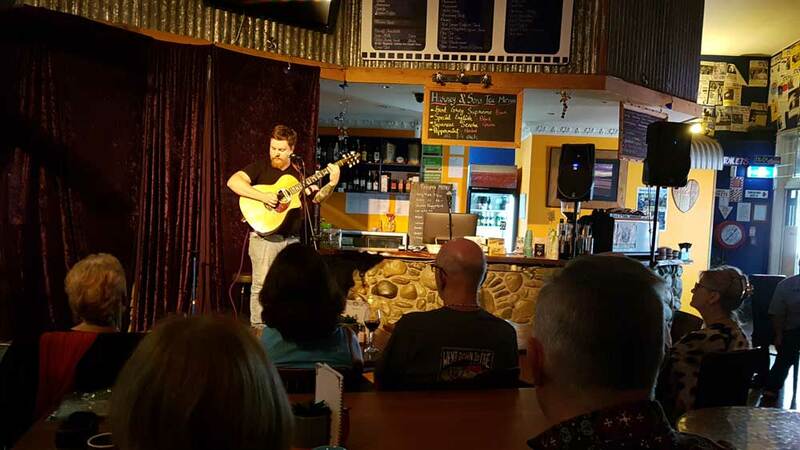 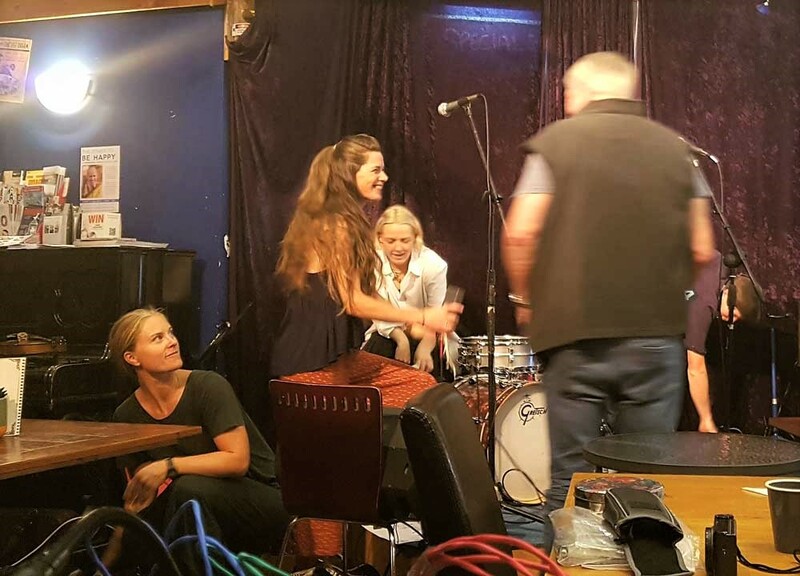 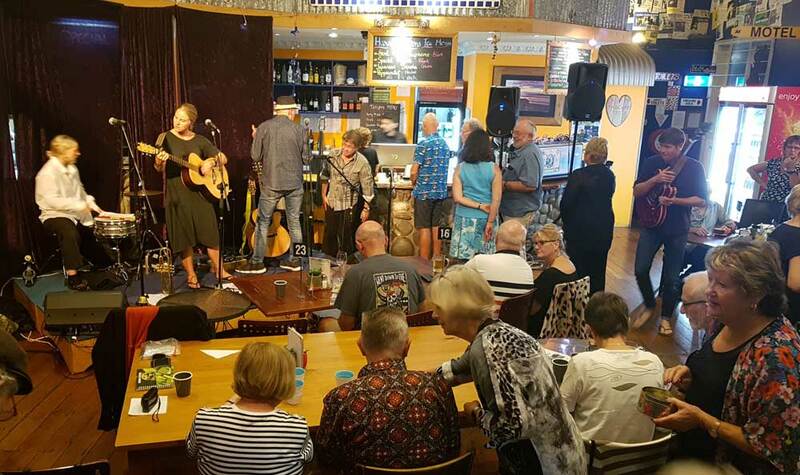 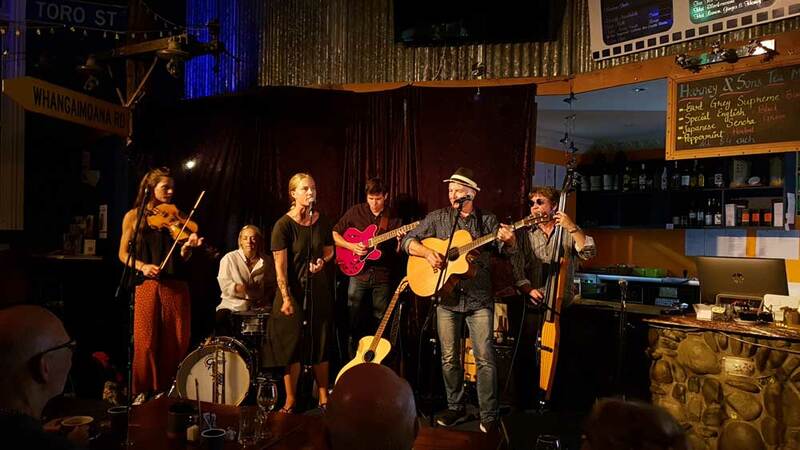 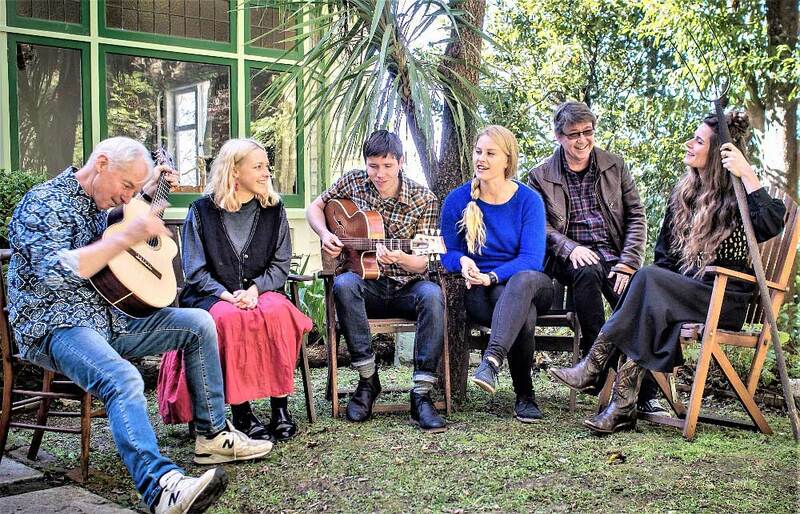 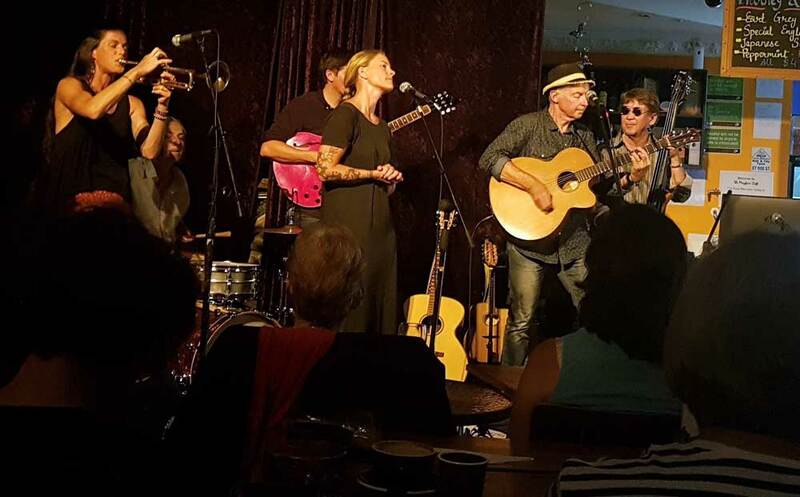 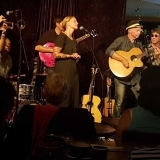 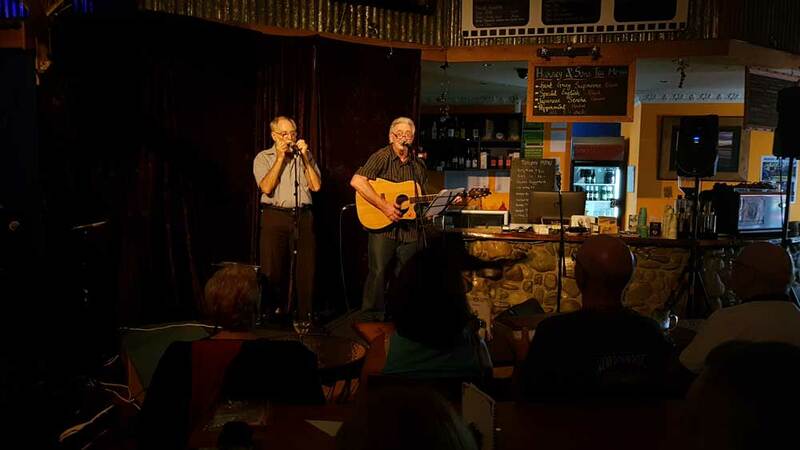 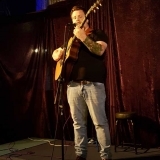 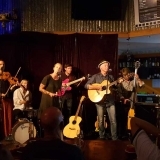 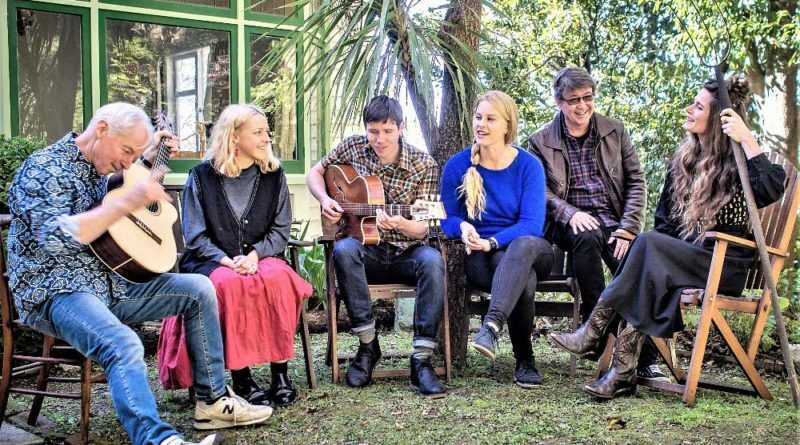 They describe themselves as an unrelated family of musicians from all walks of life who enjoy writing and playing urban folk music around Wellington and environs beyond. 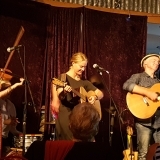 The Wooden Box Band's members were harvested some time ago from Wellington bands such as the Balkanistas, the Mockers, Dunstan Rangers and Jessie James and the Outlaws. 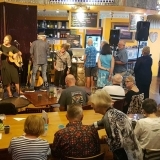 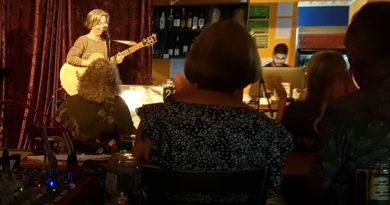 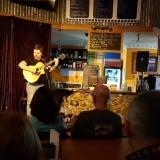 You can hear a variety of styles at play here. .
Usually they come in a group of half a dozen, just like bread rolls, and features guitar, fiddle, trumpet, electric guitars, bass and drums. 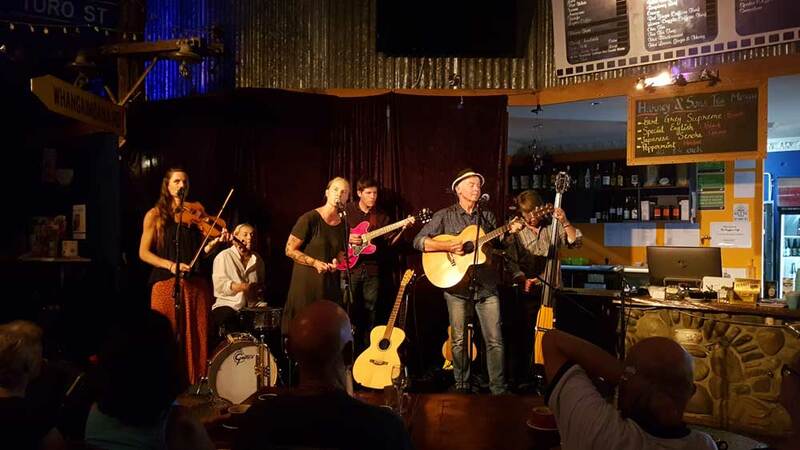 At the moment they are championing their brand new album, Far Far Away, which they will be performing tracks from in Upper Hutt. 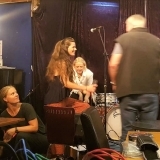 The album is the fourth for the band. 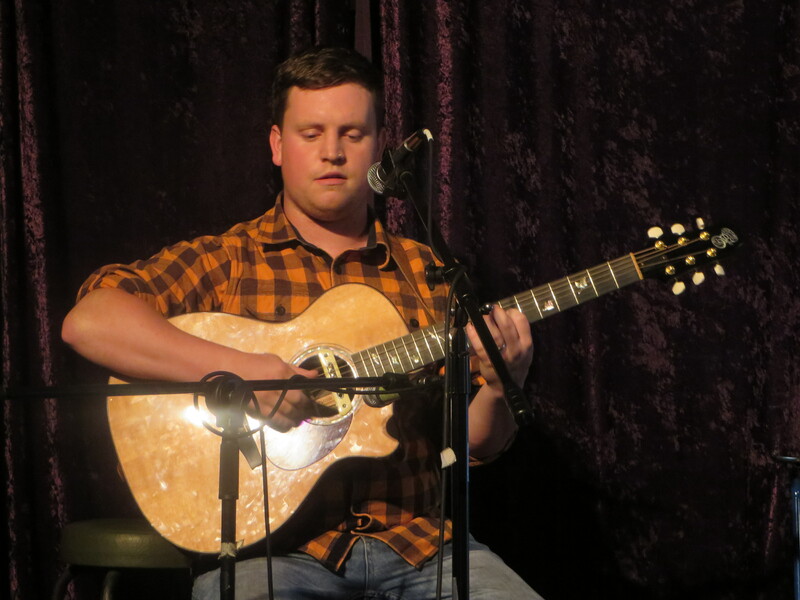 plays finger-style original & traditional songs. 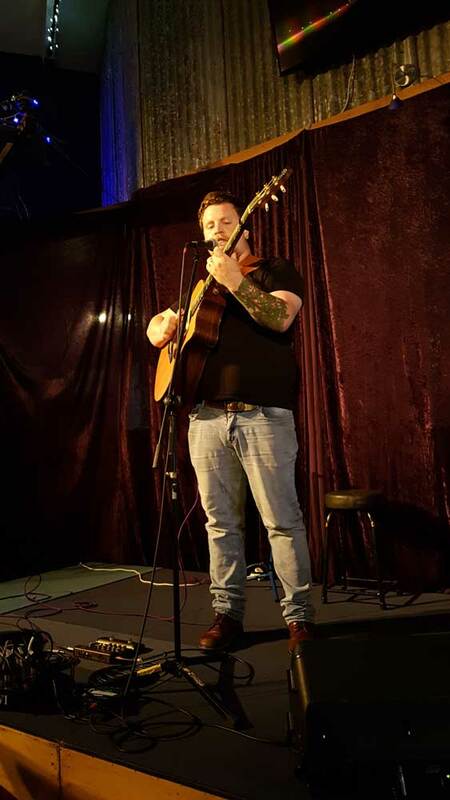 Chris Brown has a classical piano background and a love for the acoustic guitar. 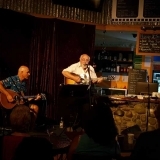 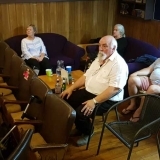 He started his career in music in the mid 60s playing at the Chez Paree and has a keen interest in folk, country and soft rock. 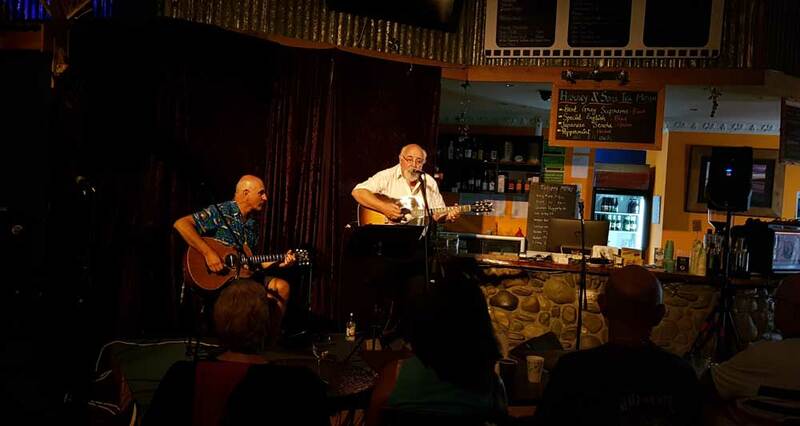 George Barris is an accomplished musician who has been in many of NZs top bands playing both guitar and bass. 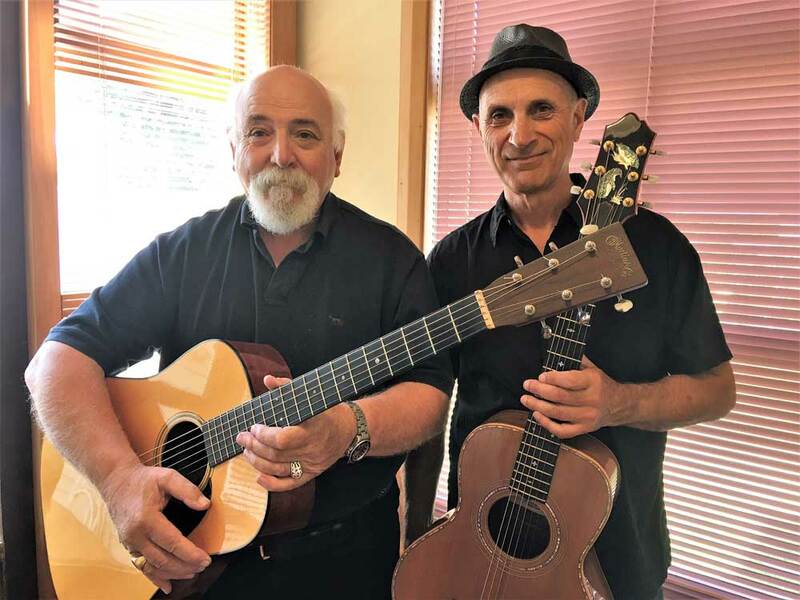 Chris and George have played music together over three decades and enjoy the blend of their acoustic guitars. 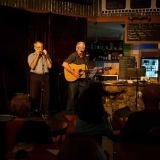 Chris and George performed at Mainly Acoustic several years ago and look forward to bringing their selection of music back to you on Tuesday night.